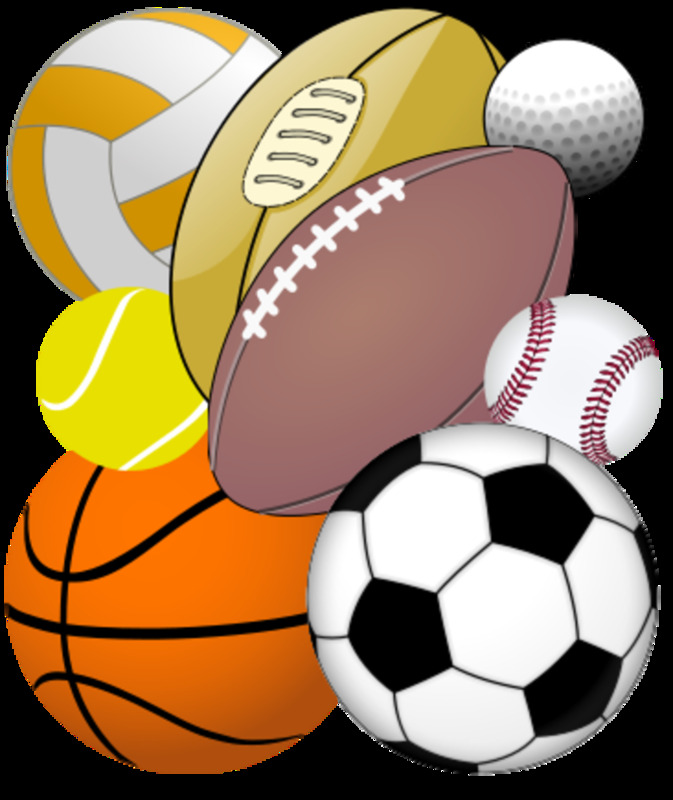 Readmikenow likes sports, professional and amateur. He especially likes sports stories of courage and overcoming adversity. The softball team was very popular with audiences because they performed funny tricks that made the fans laugh. Eventually, they began to travel around the globe to play softball. It has been estimated the team played over 10,000 softball games in over 100 countries. It all began in 1946. Feigner had been pitching for in the Green Pea League of Walla Walla Valley. He pitched for Kilburg's Grocery store. During one game, Feigner had easily beaten a team from Oregon 33-0. After the game was over, many of the players gathered at a tavern. The manager walked past Feigner at the tavern and made a nasty comment about Feigner's pitching ability. 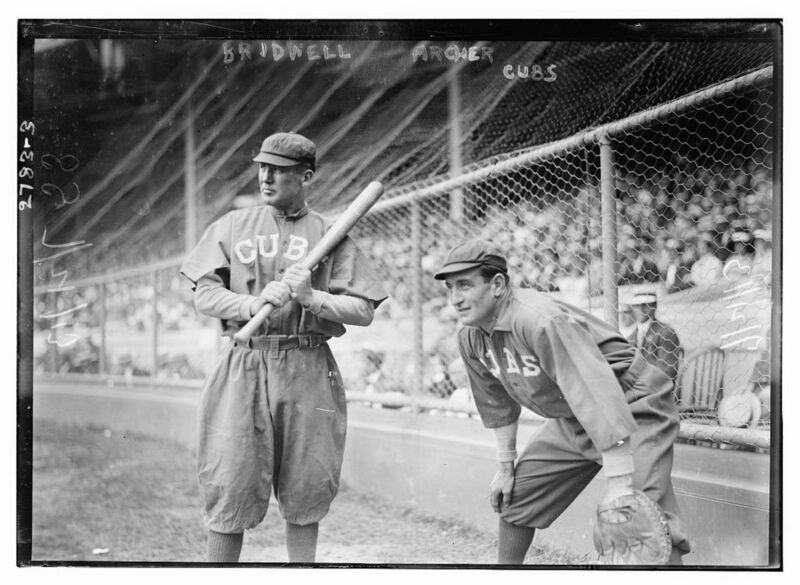 Eddie Feigner yelled he could beat any team that manager could put together with just a catcher. The manager challenged Feigner to prove it. Feigner agreed, and the only stipulation was Feigner needed four players to bat in case the bases were loaded. The players Feigner chose for his team were people he'd known since fourth grade. The manager's team was a prison team made of convicts. Eddie Feigner was still anxious to play. The first game for the King and His court took place behind the barbed wire and high walls of a prison. Eddie Feigner pitched a perfect game. He struck out every batter he faced with two exceptions. One failed when he tried to bunt the ball, and the other hit a grounder to the first basemen. The four players of the King and His court easily beat the nine-player prison team 7-0. The news of a four-man team beating nine players spread all over the state. Challenges to play local softball teams came from around the state of Washington. During the following four years, the King and His court played over 200 games but traveled no further than Idaho. In 1950, the team members, as well as Feigner, were unemployed. The friends got together and decided it was time to take their game on the road. They started their first cross-country tour. Before the tour, Eddie Feigner and the other team members mailed thousands of letters to charity groups, service organizations as well as local governments and more. Any organization they thought would sponsor a softball game got a letter from them. All their efforts only got them a few replies. They were all from the state of Florida. As the team ate and slept in their station wagon, they discovered something in El Paso, TX. 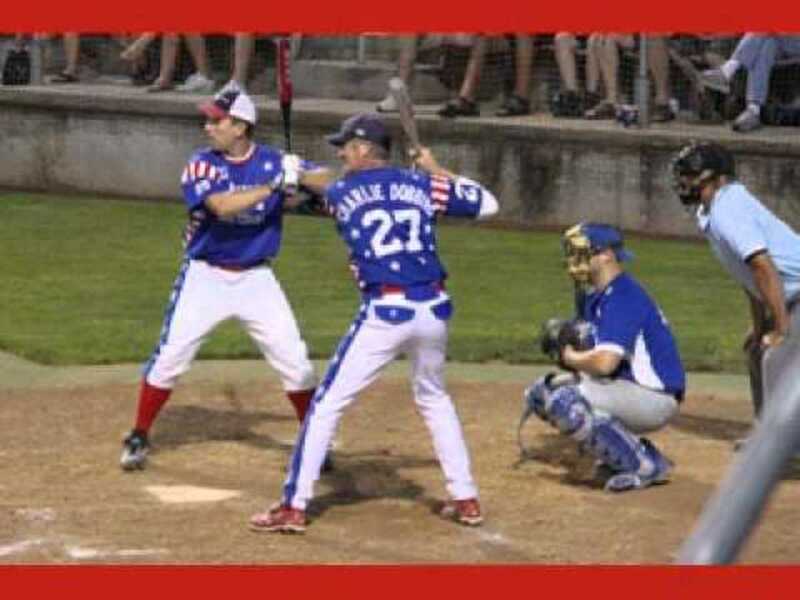 This Amateur Softball Association (ASA) had forbidden its member to play against Eddie Feigner and his team. This didn't stop them. Eddie Feigner was able to get games when he showed local softball promoters his abilities. This often happened on the nearest street. Their popularity kept growing. Being funny during a game. 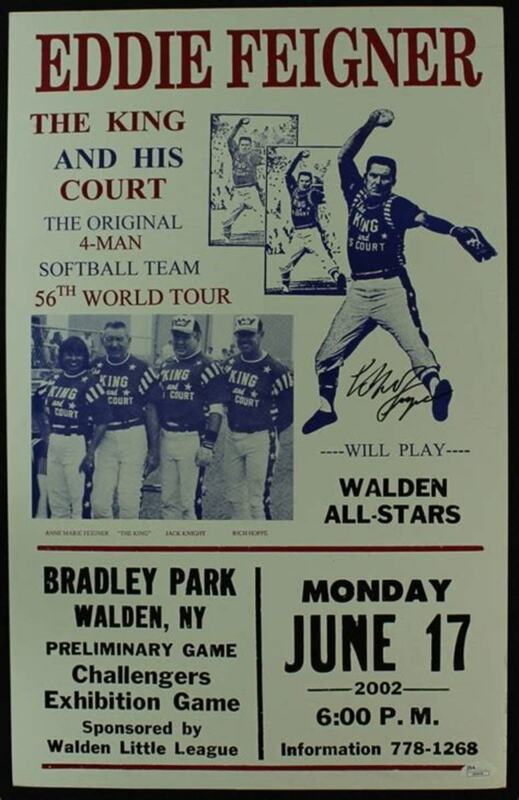 A celebrity charity softball game was held during February of 1967. Eddie Feigner was asked to participate. He would be able to pitch against some of the biggest names in Major League Baseball. 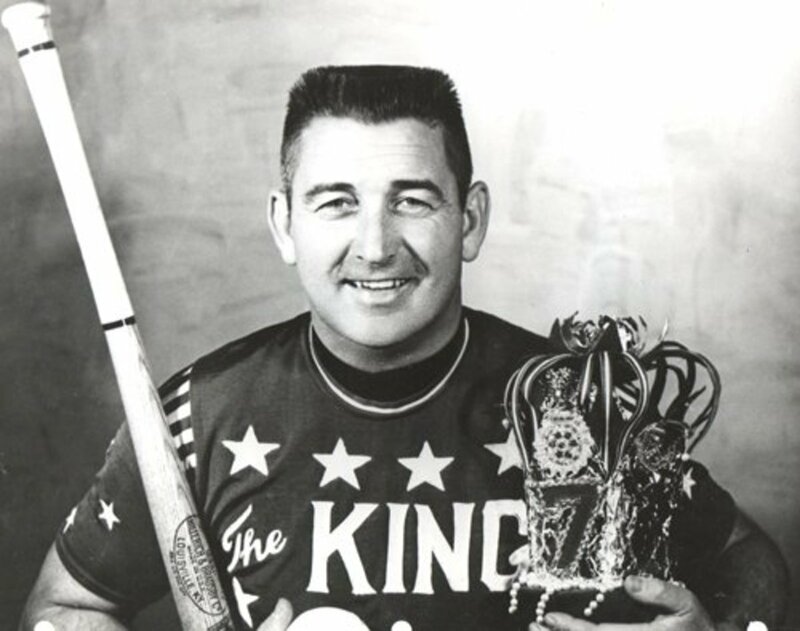 During the game, Eddie Feigner managed to strike out Maury Wills, Willie McCovey, Harmon Killebrew as well as Brooks Robinson and Roberto Clemente. What amazed most fans that day was how he was able to strike out all of them in a row. In 1981, there was a strike in Major League Baseball. Feigner was able to play an exhibition game in front of more than 15,500 fans at the Silverdome located in Pontiac, Michigan. He and his Court were able to defeat a team with nine players. Many of them were major league players. Eddie Feigner did this when he was 56 years old. Sports Illustrated once called Eddie Feigner one of the most underrated athletes of our time. He was able to hit the ball as well as he could pitch it. Softball never had the following or respect of Major League Baseball. Feigner played in front of millions of people and traveled millions of miles around the world. He was part of more than 56 foreign tours. 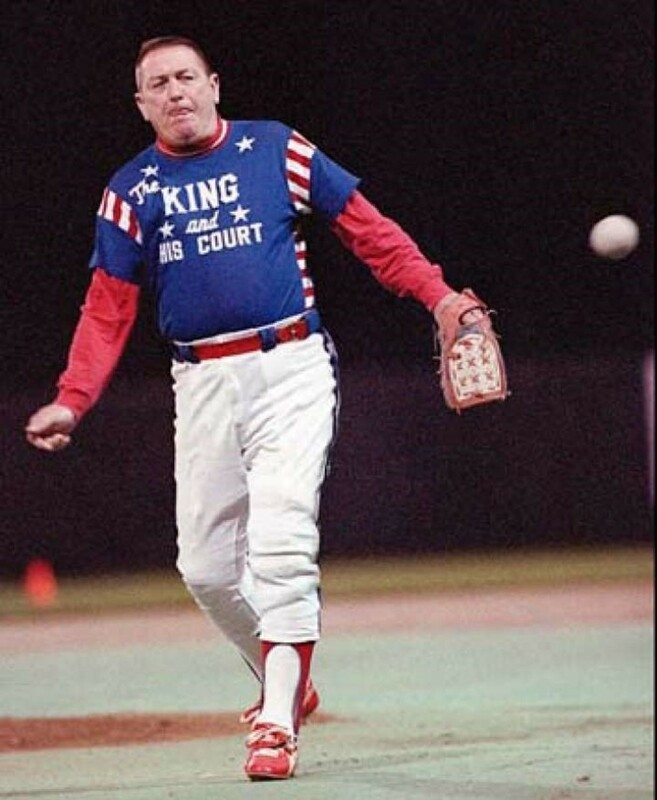 Feigner played in over 5,000 games and struck out over 15,000 people when he was blindfolded. 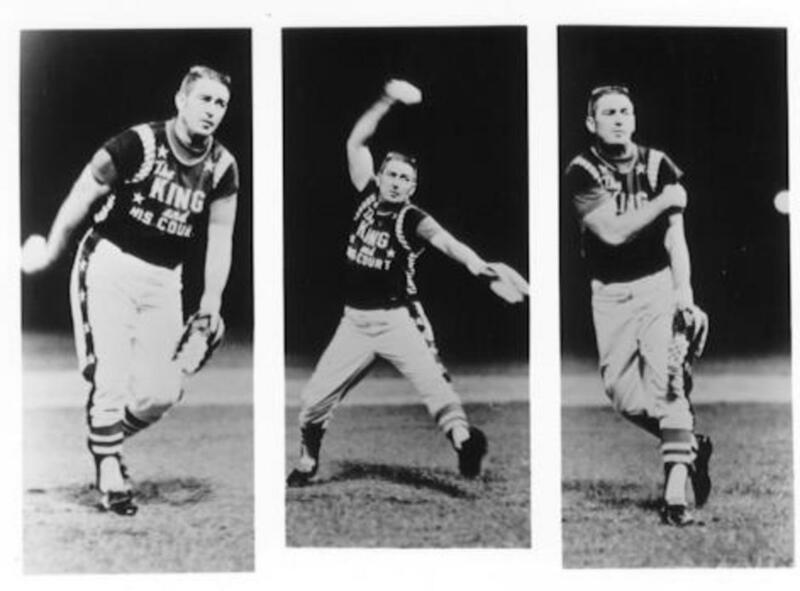 Many writers and others in the sports world have considered Eddie Feigner to be the best softball pitcher the sport has ever known. He was able to throw pitches that only he had mastered. He threw an in-raise as well as an in-drop pitches others couldn't figure out how to throw. Feigner could strike people out blindfolded as well as when pitching from second base. One time he was even was able to strike a person out from center field. His fastball pitch was clocked at over 104 miles an hour. Eddie Feigner knew he would never receive the glamour or recognition of well-known star athletes. He couldn't be the showman and entertainer as well as athlete if he played professional sports. 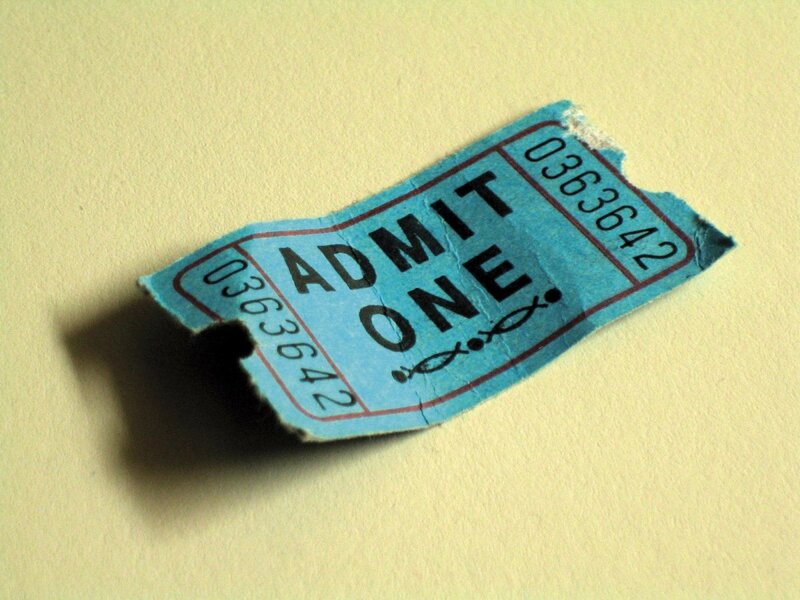 Feigner accepted that pitching exhibition softball was not a money-making endeavor. 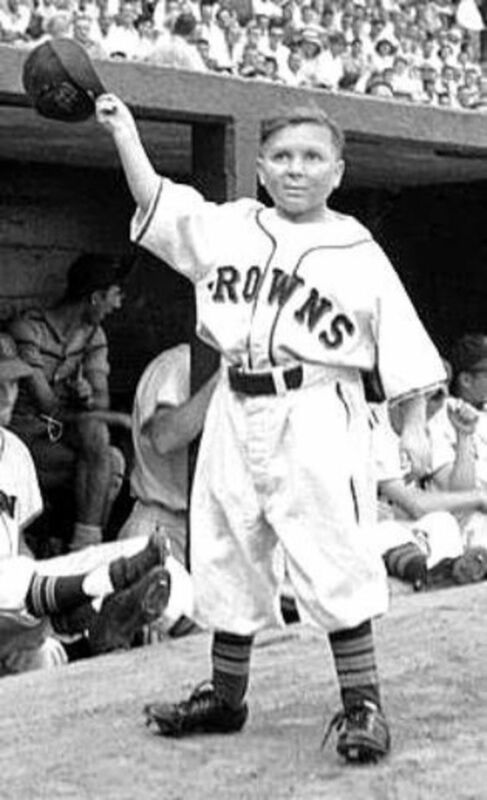 Feigner was satisfied to entertain the thousands of kids in the stands that came to watch him. 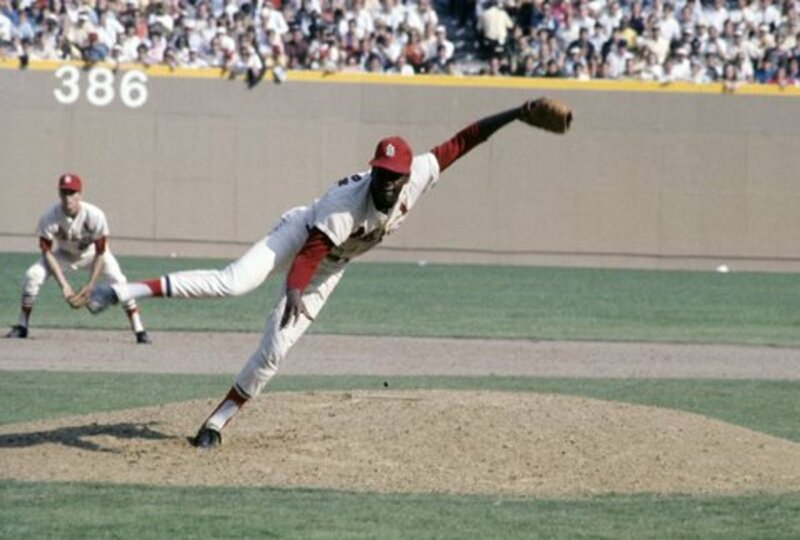 Hearing a woman or child say they loved watching him pitch meant more to Feigner than any big league contract. Eddie Feigner is a member of Shrine of the Eternals which is part of the Baseball Reliquary. This is an organization dedicated to promoting baseball as a way to appreciate American culture and art. Individuals inducted into the Shrine of the Eternals must have altered how the world views the game of baseball. Inductees have included Roberto Clemente, Jackie Robinson, Vin Scully, Satchel Paige and others. Eddie Feigner passed away on February 9, 2007, from complications associated with dementia. He was 81 years old. At the time, he was living in the Cogburn Health and Rehabilitation facility in Huntsville, Alabama. He is buried in the Huntsville Memory Gardens. Eddie Feigner was a one-of-a-kind person who stood out among all those who played sports. He was more than a player; he was a showman. Feigner developed athletic skills and abilities in ways nobody thought possible. He often told people it was a good feeling to know he was unique. Feigner knew he was the only one of his kind in the history of the world. How Are Major League Baseball Teams Divided? Jeff, thanks. I can only imagine he was something to have watched. 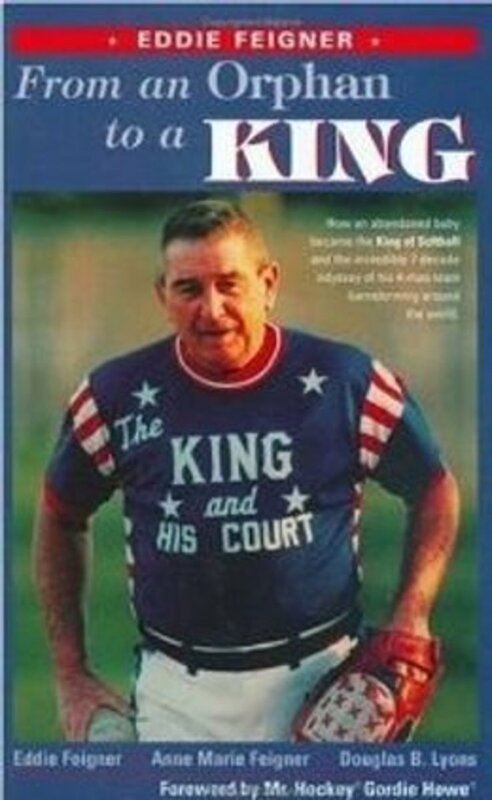 I saw the King and his Court in Jasper, Alabama in the early 1960s. Larry, thanks. I wonder if he wanted to be a MLB player if he would have done so well. In an interview, he said he liked having fun too much to be an MLB player. I'd heard of this guy before, but you certainly gave me a great deal more insight into it. Mary, thanks. He was an incredible athlete and person. What a beautiful story of a man who worked hard to perfect his game. We need heroes now especially in the Sports world.